When evaluating credit cards, one of the first things that many consumers consider is the APR. The interest rate is a big deal if you carry a balance, since the higher your interest rate, the more you pay for the privilege of borrowing money. As you consider your credit card options, and compare interest rates, make sure that you understand the difference between introductory APRs and regular APRs. 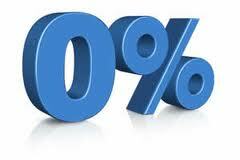 It can be exciting to see a credit card APR of 0%, 1.99% or 3.99%. These low APRs are tempting, especially if you have a balance you want to transfer from a higher rate card. However, this attractive APR isn’t going to last; it’s designed to introduce you to the card and gain your business. An introductory APR expires after a certain period of time. Many credit cards offer introductory APRs for between six months and 18 months. Once that time period is up, the APR increases to the regular APR. You should also realize that there are times when the introductory APR is cancelled. If you make a late payment, or go over your limit, your introductory APR might be revoked – even if the introductory period isn’t over yet. Your regular APR is the interest rate that you pay on a regular basis. Often, this rate is based on the prime rate and is variable. A credit card issuer usually bases your regular APR on the prime rate. If the prime rate changes, your interest rate could go up or down, since it’s most likely a variable rate. You might see a credit card APR of prime + 8%. That means that if the prime rate is 3.99%, your regular APR would be 11.99%. Your interest rate depends on your credit score. If you have good credit, you will see a lower “prime +” rate. Someone with fair credit might see a rate of prime + 15%, which would bring the credit card APR in our example up to 18.99%. As your credit score decreases, your regular APR increases. Once your introductory period ends, you will begin paying the regular APR on your balance. One of the reasons that consumers take advantage of an introductory offer is to make headway on high interest credit card debt. You can transfer your balances to the new credit card, and the low introductory APR means that more of your payment each month goes toward paying down the principal. With less going toward interest, you can reduce your debt faster, paying less to retire your debt over time. Using an introductory APR to your best advantage requires a little planning, though. Your best results are seen if you have a plan to pay off your balance transfer before the end of the introductory period. Another pitfall to avoid is running up more debt after you complete your balance transfer. Once you make the transfer, you have an old card that suddenly has a lot more “room.”” Don’t add more debt to the old credit card. You could end up in worse shape, with even more debt, if you aren’t careful.